If you have always hated the process of heading to a dealership to buy a vehicle because you are not a fan of negotiating, you should know that with Carson Cars, you never have to negotiate! This is because we already offer a low price on the vehicle that you are looking for so you know that you always get the best possible deal. When you know that you are in the market for used Ford cars for sale in Edmonds, you will always find what you need once you drive onto the lot at Carson Cars. You are always going to get all sorts of advice when it comes to buying a used vehicle. The thing that you need to remember is that no two used vehicles are going to be alike. Each used Ford that you look at will have its own history and wear and tear. It is all going to be a matter of working with a dealership that you can trust to give you all of the details of the vehicle history. This will be the added peace of mind that you need to know that you are going to be driving away in a car that you can be proud to own. Reliability, quality customer service, attention to detail, friendly service, experience and selection are just a few of the things that you can say you will be able to enjoy when you shop with Carson Cars. Once you know that a new to you vehicle is in your near future, you are going to find one that you can count on when you shop here. 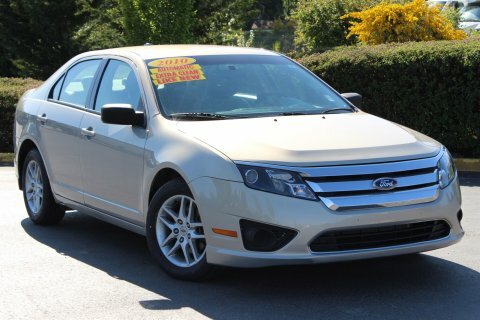 Buy your next vehicle with Carson Cars and shop used Ford cars for sale in Edmonds. Call us (855)583-9356 today for selection and pricing information.